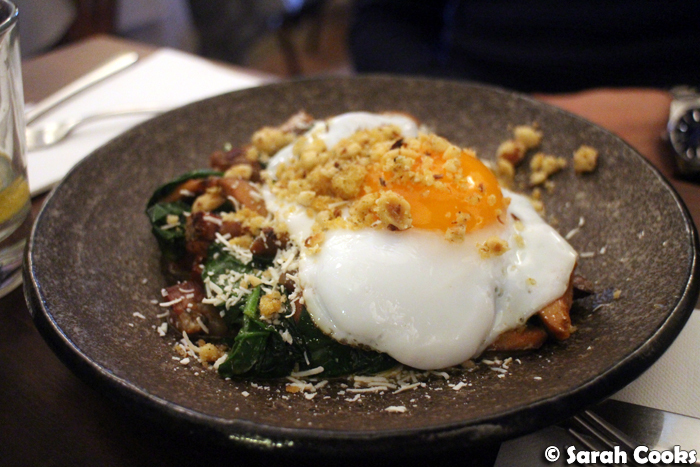 For (one of) my birthday celebrations this year, I got the idea into my head that I wanted to do a fabulous boozy brunch with my blogger buddies. You know, eggs, bacon, mimosas, that sort of thing! 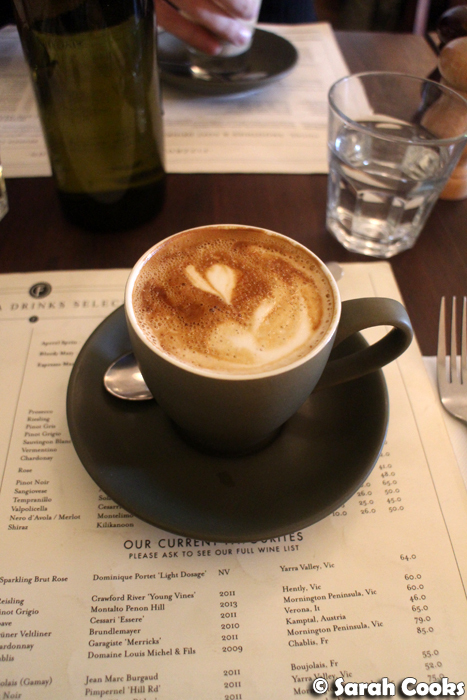 It was a little tricky finding a suitable place - I needed somewhere that would take a weekend brunch booking, that could accommodate a group of ten people, that offered brunch cocktails (dealbreaker! 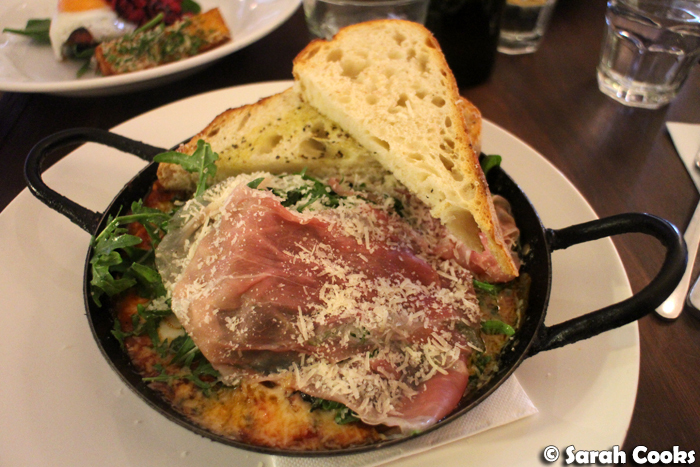 ), and of course, that did good food. 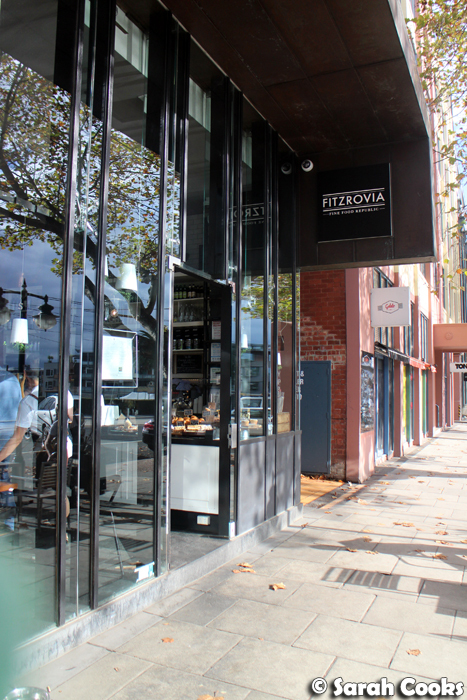 And with all boxes ticked, I chose Fitzrovia in St Kilda! 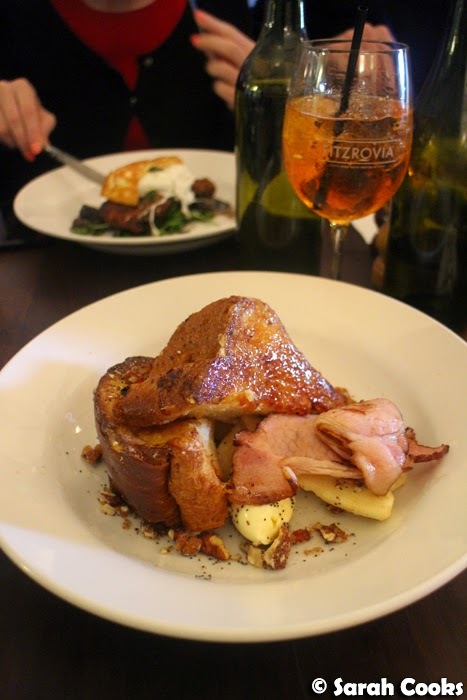 You may remember I visited Fitzrovia back in 2012 (on an invite) shortly after it opened, and was really impressed by the dinner we had there. I'm glad they're still going strong! It was absolutely packed on the Sunday lunchtime that we were there. Fitzrovia is owned and run by a really lovely couple - Paul, the chef, running the kitchen, and Marco taking care of front of house. The vibe is homey (the building used to be a house), and slightly chaotic, but in a really pleasant way. It's a nice spot to spend a weekend afternoon! Now, because we were in a big group on a long table, I didn't get to try every single dish we ordered. (Although you can rest assured I gave it a red-hot go!) So unfortunately I can't describe all the dishes. However, everyone told me they enjoyed their meals. Hooray! I ordered the crème brûlée French toast, which was, delightfully, actually brûléed. 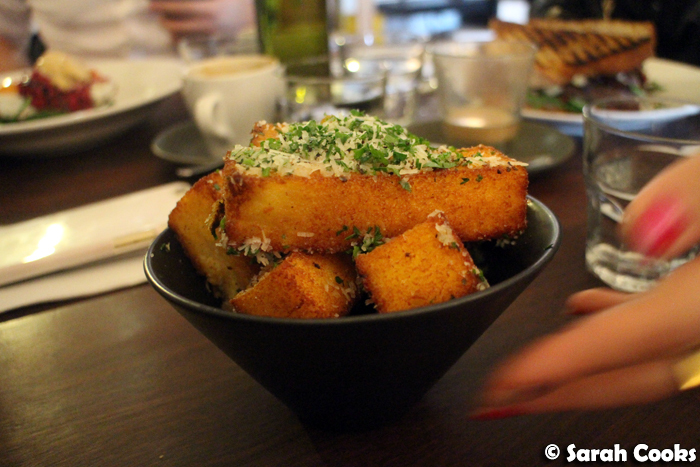 The toast was super thick, with a soft, creamy centre, and a crackly sugary crust on the top. The bacon, mascarpone and banana made it even better! (Ashley and Daisy ordered a gluten free version of this for their dessert, and it was really good!). 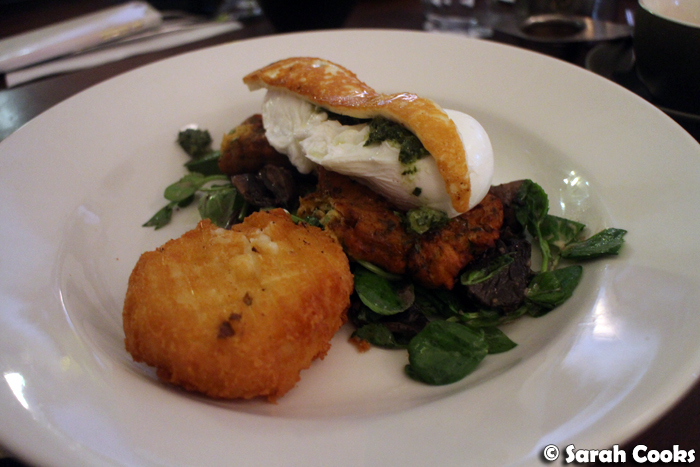 Sandra ordered the sweet potato and caramelised onion fritters, with an extra Gruyère potato cake on the side. And that is why she is the best. Cheesy double carb goodness for the win! 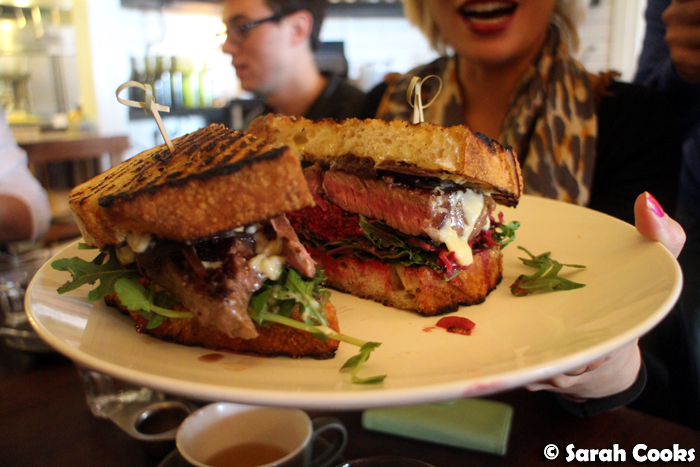 This steak sandwich was an absolute monster - 200 grams of grass fed scotch fillet, cooked medium rare, with rocket, caramelised onions, beetroot remoulade and chargrilled bread. You can't see them in the picture, but it came with fat thrice-cooked chips. Winner! We just had to order the polenta chips - not only because Ashley had eaten them before and loved them, but because every time the waitstaff brought them out to another table, the intoxicating aroma of truffles would fill the air. Super yum! 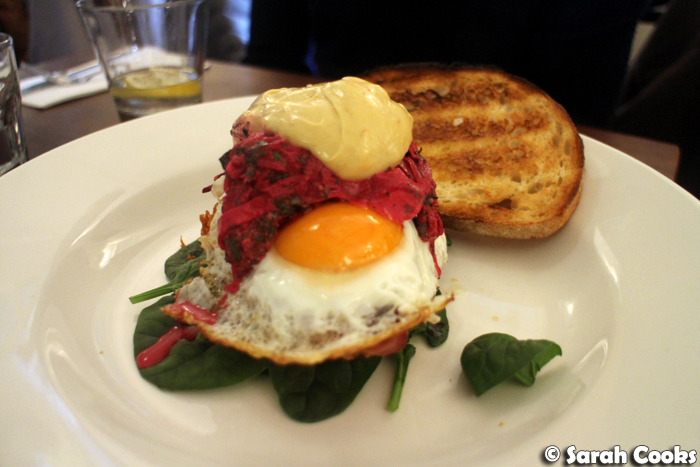 Definitely order these if you visit Fitzrovia! They are crunchy and gooey and soft and just delicious. Super awesome brunch! 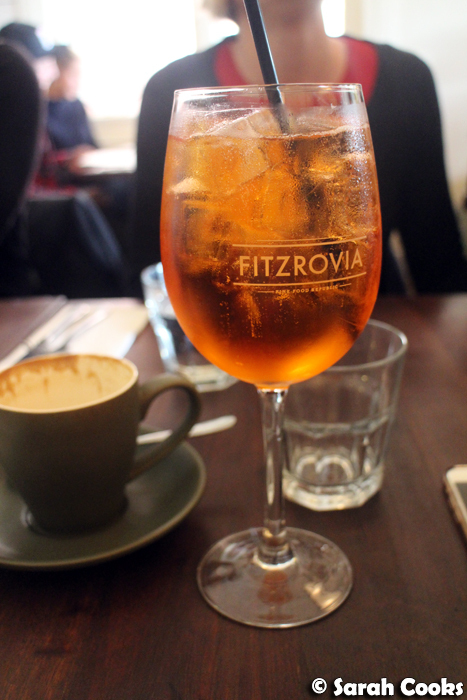 Fitzrovia was a great choice. Food was great, the atmosphere was friendly and they let us split the bill. Thanks everyone for coming out and celebrating! 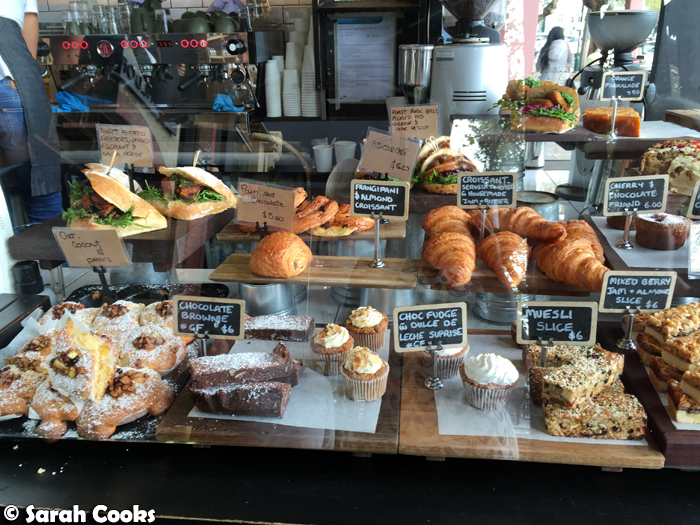 Um I'll have one of everything please, including that entire cake display cabinet! Love Fitzrovia and love a drawn out birthday especially!